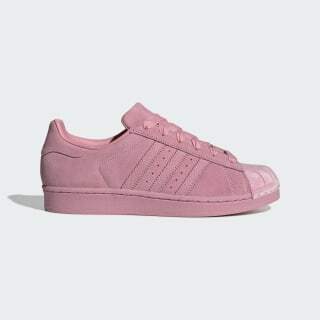 The legendary adidas Superstar shoes first hit the scene in 1970 and never left. 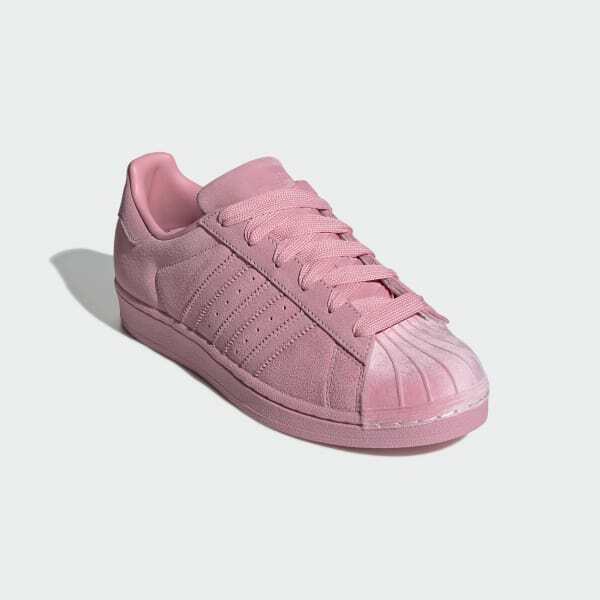 This suede version shows off pastel colors inspired by Valentine's Day. The iconic shell toe comes in velvet for a soft look. Fat laces nod to hip hop fashion statements of the '80s.